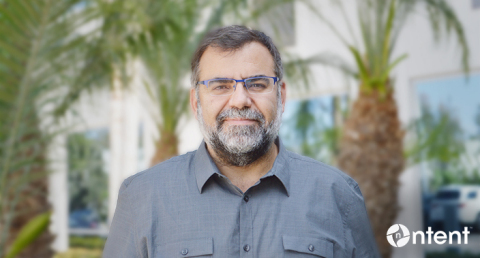 NEW YORK--(BUSINESS WIRE)--NTENT, a leading semantic search and natural language processing company announced that it has appointed Dr. Ricardo Baeza-Yates as the company’s Chief Technology Officer (CTO). In this role, Baeza-Yates will play a key role in fortifying NTENT’s innovation leadership in semantic and natural language processing and in shaping NTENT’s technology vision. He will lead the company’s technology evangelism efforts and also work with NTENT’s growing base of global partners to realize desired business outcomes through technology innovation. Dr. Baeza-Yates brings more than 30 years of technology industry experience to NTENT. Most recently, he held the position of Vice President and Chief Research Scientist at Yahoo!, where he spent more than 10 years in various R&D roles. Baeza-Yates is also an ACM Fellow and an IEEE Fellow, with over 500 publications, tens of thousands of citations, multiple awards and several patents. Baeza-Yates is an expert on information retrieval and one of the top scientists in this area. He earned a bachelor and master’s degree in both Computer Science and Electrical Engineering from the University of Chile and a Ph.D. in Computer Science from the University of Waterloo in Ontario, Canada. He is also the co-author of “Modern Information Retrieval”, the most used textbook on search, as well as several other books. NTENT™ sits at the crossroads of semantic search and natural language processing technologies. Our patented, proprietary technology powers our comprehensive search platform that transforms structured and unstructured data into relevant and actionable insights. This level of intelligence enables us to predict and deliver relevant text, image and video content experiences based on personal preferences to end-users while generating new monetization opportunities for our partners, on any device. Learn more about NTENT at http://www.ntent.com.